This is Bill Downs recording from Munich. The Bavarian military government announces today what is probably the only case in history of hijacking by locomotive. Russian soldiers and East German border police yesterday ran a locomotive one hundred yards across the Bavarian border and hitched it onto a string of damaged railroad cars standing nearby. They backed across the border into the Soviet zone with thirty-one of the freight cars. Two others were derailed. The proper protests are being prepared. The incident is an example of the desperate shortage of rolling stock on the Russian zone. The proceedings of the secret spy trial held here the other day will be released after the minutes have been censored by security officials. A military court sentenced one František Klečka to twenty years of hard labor as part of the Czech espionage ring operating against the United States. However, no details of his crime were released, causing widespread protests from reporters here. Spy charges against twenty other persons will be heard in public hearings Monday. 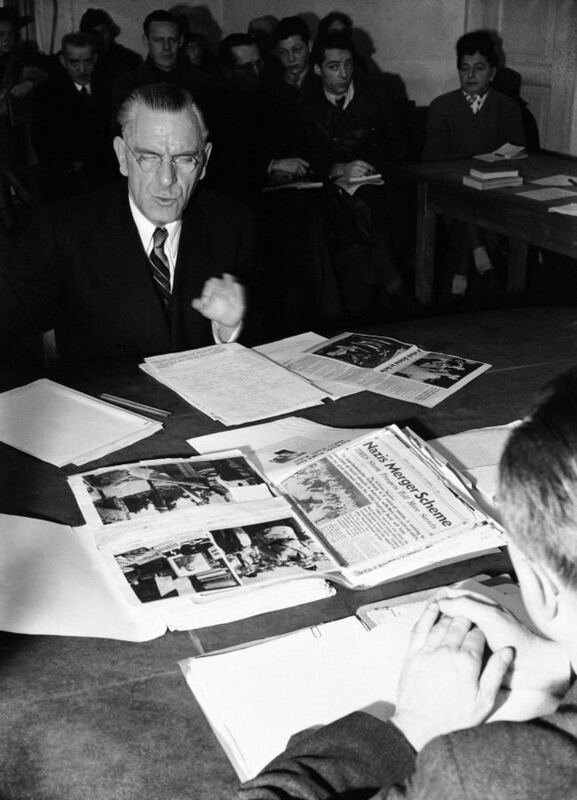 Another trial of interest here in Munich today concerns the notorious Fritz Kuhn, former head of the German American Bund and once America's leading Nazi. Kuhn is appealing a ten year labor camp sentence imposed by a German denazification court. Yesterday the prosecution brought in a surprise witness, John Roy Carlson, the author of Under Cover and The Plotters. Carlson, who is in Europe to collect material for another book, reiterated his documented proofs of Kuhn's Nazism. Kuhn, incidentally, is a much-changed man from the days when he was heiling and goosestepping over the United States. He appears healthy, humbled but now is given to mumbling to himself. Reporting from Munich is much different from Berlin. The blockade and the airlift are very far away. The fact that the one-millionth ton of supplies has been delivered by the airlift—that East Berlin police have killed one man and shot two other persons in a sector border incident seems very, very far away—in another country. This is Bill Downs in Munich. Now back to CBS in New York. 1937. Is Dictatorship in America Possible?